Smile with each new day : Grab a cuppa! 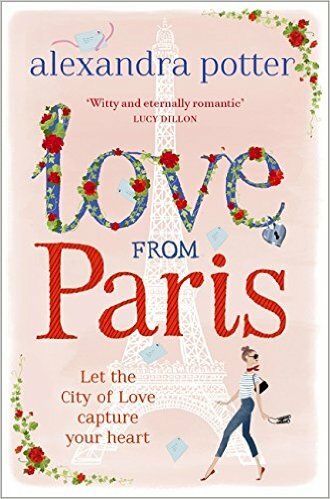 Full of hearty laughter and tear jerking moments, Love from Paris is the perfect book companion for young adults looking for a light romantic read over the upcoming summer months. Between the pages of this book, Alexandra Potter creates a world in which Ruby Miller finds herself experiencing the highs and lows of love herself, whilst trying to help navigate her best friends misguided attempts at finding 'the one'. Not before long - another mysterious jackpot is thrown into the works, resulting in a question mark into the destiny of those from a different era within the same city of love. Taking matters into her own hands and testing her beliefs in true love, how far is Ruby determined to piece together romantic and co-incidental happenings around her? Is there a larger puzzle to piece she can complete? Only time will tell.